The most recent in my bid to paint 50 faces this year. 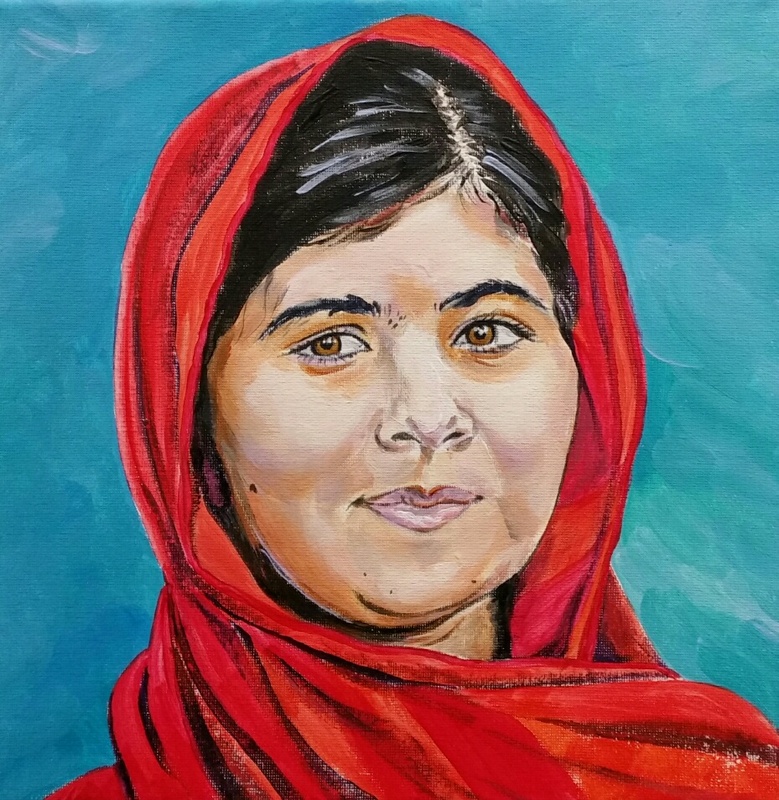 My running coach suggested Malala as a subject and initially I had reservations. I want to have a 50/50 balance of male and female faces but I was not keen to portray women who are famous for being victims or the wife of someone famous! However, when I researched Malala I realised she was far from being a victim. This was someone who was already publicly condemning the efforts of the Taliban to prevent girls from getting a proper education. Her writings contributed to schools in her valley being re-opened to girls. That was when the Taliban tracked her down and shot her through the head. Her response? When she had recovered she completed her education in the UK, wrote a book about her story and amplified her shout against the oppressors more than a hundredfold. Coming from any culture this would have been astonishingly brave, but from a country where women are routinely underrated she is absolutely astonishing.